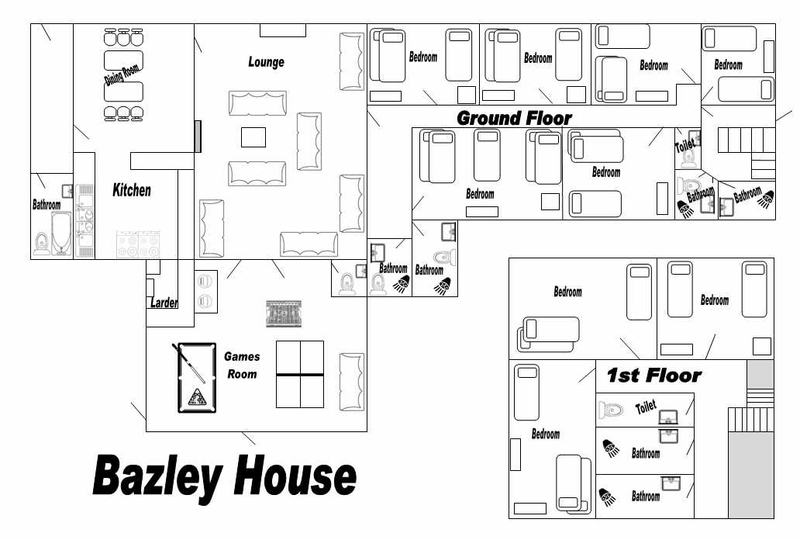 Bazley House is a self-catering unit it sleeps 30 people comfortably. We work with a wide range of organisations from the voluntary and statutory sector. Please ring for availability. 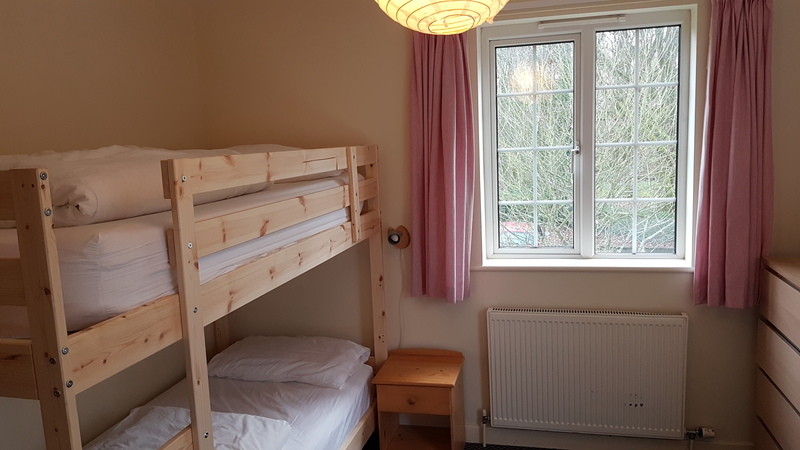 It has a large kitchen/dining room, larder room, living room, games room, 9 bedrooms and 6 shower rooms (including one with facilities for people with disabilities, a bathroom and 7 toilets). Simply click on the panels below to find out more about our facilities in and around Bazley House or view the floor plan. 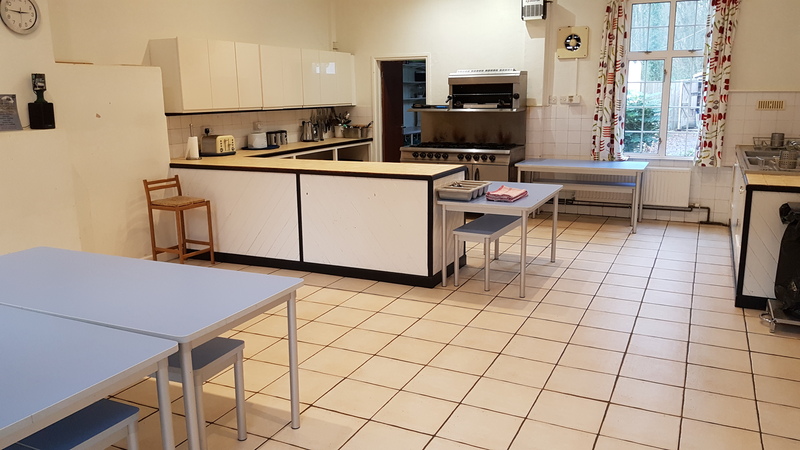 The kitchen is well equipped with a catering size gas cooker, 2 large washing up sinks and a larder room with a washing machine and fridge freezer. The dining area has tables and chairs that can be arranged to seat everyone comfortably. From the kitchen you enter the living room. 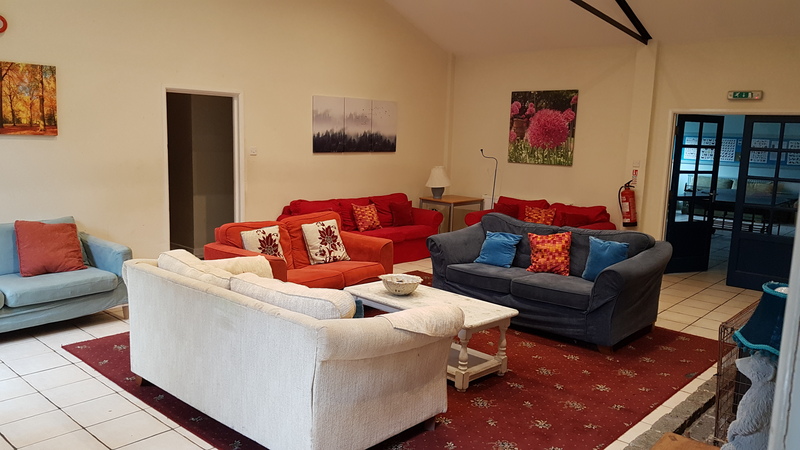 This is a large spacious room with sofas and armchairs and a wood burning stove. We also have a wall mounted television with digital TV and DVD player. 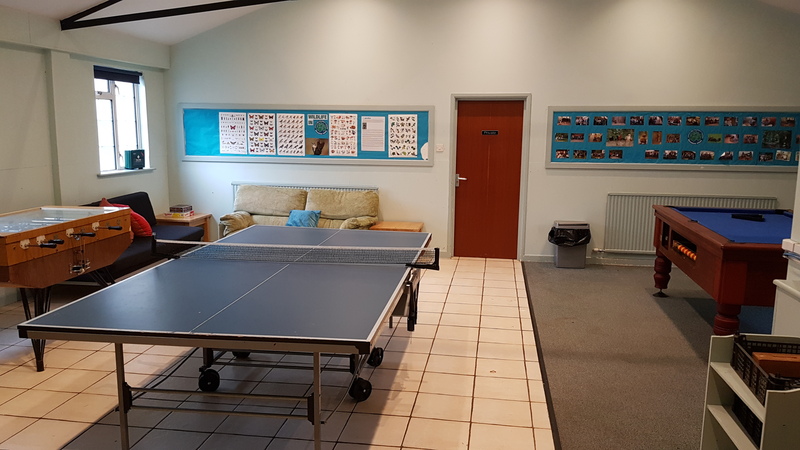 The games room is a large room with a table tennis table, bar football table and pool table. This is also where our wildlife camera system operates from. We have a computer and three monitors that link to cameras in the woodland. The cameras are focused on bird boxes, bird tables, the dewpond and other areas of the wood and give us a glimpse or what is happening in the woodland. In the spring we have chicks hatching and at all times of the year there is always something of interest on the screens. Groups can borrow a laptop computer if they want access to the internet. We also have some art materials and other games in this area of the unit. The games room has a separate toilet. There are 6 bedrooms, 4 shower rooms (one with access for people with disabilities) and a separate toilet on the ground floor. 3 of the shower rooms also have toilets. The bedrooms sleep 5, 3, 3, 3, 3 and 2 respectively in single and bunk beds. All beds have waterproof mattress protectors, a fitted sheet, duvet and pillow. There are 3 further bedrooms upstairs with 3, 3, and 2 beds. All beds have waterproof mattress protectors, a fitted sheet, duvet and pillow. There are 2 shower rooms and a separate toilet upstairs. On the ground floor there are four shower rooms (one with access for people with disabilities) and a separate toilet in the games room. Three of the showers also have toilets and there is a bathroom in the hallway area with bath, washbasin and toilet.